Earlier today, a joint House committee held a hearing, one in which Harrisburg’s very future is at stake. 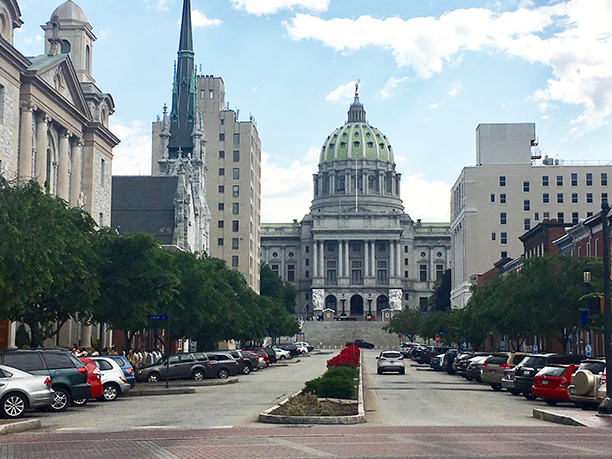 PA House bill 2557 would allow Harrisburg to keep its current taxation levels, thus allowing it to exit Act 47, the state’s program for financially distressed municipalities. If the bill passes, Harrisburg’s decade-long fiscal nightmare would effectively end, and the city could move on confidently toward a brighter future, building on its long, slow redevelopment. If the bill fails—who knows? The city’s financial storm could continue for another three years, when the state forces Harrisburg out of Act 47 for good. At that point, the options are grim. The state has proposed vast increases in city property taxes. Harrisburg countered with a commuter tax. Neither option is acceptable or likely to pass. The city also could slash services, though anyone who lives here can tell you that service levels are already too low. Harrisburg could even end up back in state receivership or do what it failed to do eight years ago—declare bankruptcy. In other words, the city likely would be plunged back into financial crisis. Meanwhile, a solution—retaining the status quo—is profoundly logical and at hand. The House bill would permit exactly that, so those who work in Harrisburg (residents and commuters alike) would continue to pay an extra $100 a year in local services tax over what’s currently allowed under state law for third-class cities. Yes, that’s the prevailing issue—an extra $2 a week from workers to help the city pay for supporting and servicing some 50,000 commuters, which doubles Harrisburg’s population each day. One hundred bucks a year so police show up when you call them, so EMTs arrive when your car crashes, so roads are cleared of snow so you can reach your office, so restaurants are inspected, etc., etc. The bill also would allow the city to keep its 2-percent earned income tax rate, which mostly affects just Harrisburg residents, while nixing any proposal for a dedicated commuter tax. This solution has been in place for the past few years, and it seems to be working well. Moreover, it’s the solution favored by most of our area’s representatives, including two Republicans who represent many of the region’s commuters, Sen. John DiSanto and Rep. Greg Rothman. Gov. Tom Wolf also supports the bill. They all well remember the dark days of 2010-12, when the city, stripped of its workforce and effectively bankrupt, seemed incapable of performing even the most basic municipal functions, when the city’s very survival was at issue. But time is of the essence. The legislature is in session for only seven more days, giving a limited window for the bill to come up for a vote. Therefore, we urge Speaker Mike Turzai to allow a vote on House bill 2557. We understand that he doesn’t like the bill and, if so, he can and should vote against it. But one man, however powerful, should not single-handedly determine the fate of a city so distant from his own Allegheny County home, thwarting the wishes of the local community here and the will of the legislature as a whole. For the sake of Harrisburg, House bill 2557 must be allowed to come up for a vote. Previous Post State & The City: Harrisburg mayor makes case to retain tax rates, exit Act 47. 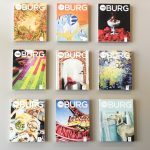 Next Post Harrisburg re-launches Environmental Advisory Council.